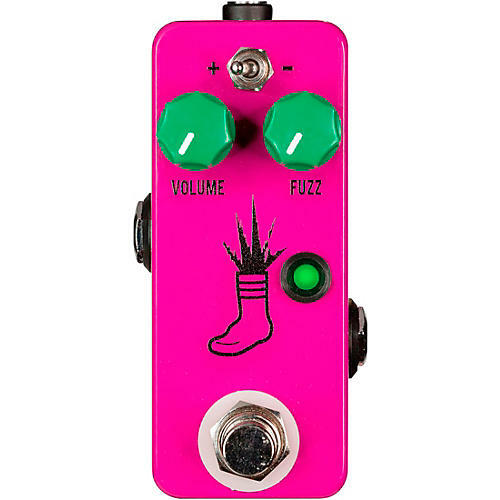 Put some fuzz under your foot with this updated model. Welcome to the next generation of JHS Pedals Mini Foot Fuzz V2. Though this little purple guy may have a toy-like appearance, you will quickly realize the sounds that come from this box are no child’s play. From gated, low-gain splat to almost infinite sustaining buzz, the Mini Foot Fuzz V2 covers a lot of ground with very little fuss and a whole lot of attitude. If you’re looking for a versatile fuzz without the fuss, the Mini Foot Fuzz V2 is your ticket. There’s never been a better Itty-Bitty Foot-Activated Buzzy-Sound device in all creation!